Brown Color, 3-Prong, Heavy Duty Attachment Lamp Plug, 2 pole, 3 wire with ground, for 18/3 SVT up to 14/3 SJT wire (hole size .370"), 15A-125V. Brown color lamp plug works great with 3-wire round lamp and appliance cord, and is very handy when installing swag lamps that go to a wall outlet. Clear Acrylic Drum Style Lamp Finial, 2 1/8" ht. 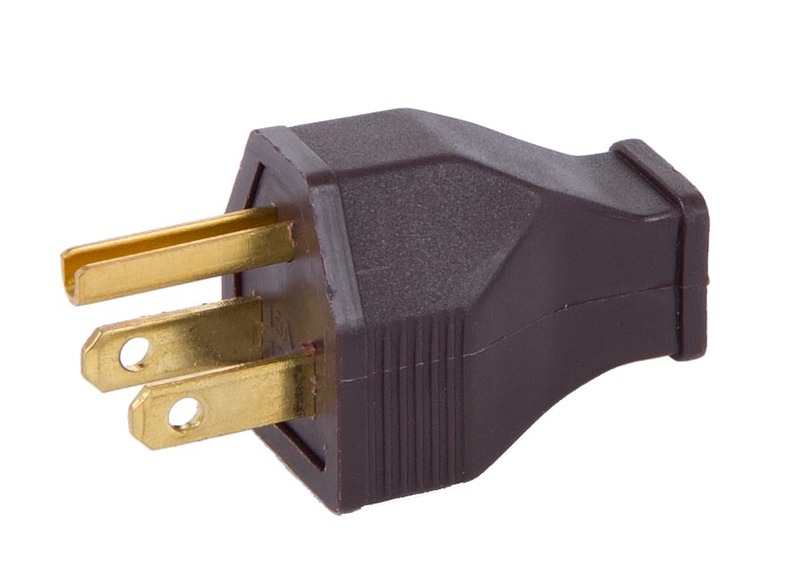 No reviews yet for the 3-Prong, Heavy Duty Attachment Lamp Plug, Brown.